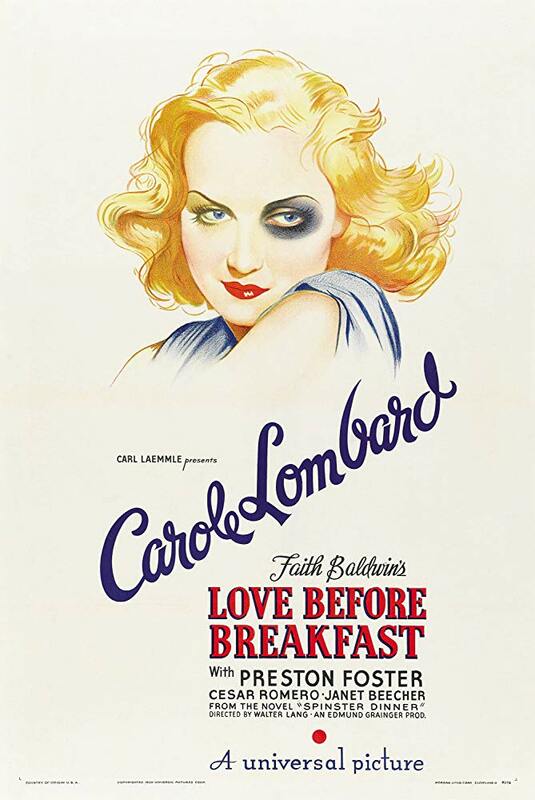 The following is a film-by-film guide for all forty-two sound features made by Carole Lombard between 1929 and her death in 1942, with home viewing availability provided alongside writeups and some general commentary on the evolution of her screen image. All films were watched or rewatched expressly for this guide in chronological order. There are brief hints at liveliness in Lombard’s performances in some of these early films, but she is still tethered to deadweight roles and perfs that gives little indication of Lombard’s gifts as a comedienne. Is it the fault of Paramount for repeatedly casting her in these turgid dogs, or was she frankly just not a very good actress and not a particularly charming or interesting on-screen presence at this point of her career? Both, I reckon. Putting aside that Walter Connolly killing himself instead of being arrested is nonsensical and selfishness presented as selflessness (reminding me of my comments on Stella Dallas), boy does it also have the unintended effect of leaving an extra sour taste given that Connolly decides to crash his plane into a mountain, an end eventually shared by Lombard in real life a decade later. Yikes! And so, with two more years passed, let’s check in again on Lombard’s career. Even when she’s in the rare good movie (Supernatural, White Woman), the success of the film lies outside of what little she brings to it. According to James Robert Parish, Paramount saw her as little more than a “walking clotheshorse,” and the thankless roles she was constantly saddled with confirm it. Was her increased screen presence in these last two years due to audiences responding to this kind of empty chic prettiness, like a proto-Grace Kelly, or was it more that her high profile marriage to William Powell led to audiences just now knowing who she was and going to see what was familiar on the poster outside? Crosby: How do you know it’s worse than death, you never been dead have you? The star system worked for Lombard in that enabled her to have successful career and she toplined plenty of movies for Paramount. But the studio hobbled her reach by placing her in an endless string of bad movies, or good movies in which her performances was immaterial to the film’s success. The enduring image we have of Lombard as a gifted and screwy comic actress is one formed by only a few pieces of evidence (Twentieth Century, My Man Godfrey, Nothing Sacred, and perhaps a couple others depending on who you ask), and there’s a reason these endure as her most popular films: they’re well-written and directed, actually funny, and Lombard is allowed to tap into internal reserves to deliver in ways she almost never is called upon to do elsewhere. Imagine a world in which she was signed to Universal, Columbia, or MGM (the Gay Bride may have been awful, but it at least seemed to understand how to use Lombard) instead of just loaned out. We might be left with a dozen more pieces of evidence in favor of her greatness rather than merely a handful of select works. I knew going in that this film allegedly was so bad that it caused Lombard to not make another comedy for three years, but I was still skeptical. I’ve already sat through some truly lousy movies, many of which should have caused Lombard to do some soul searching about her screen image. A screwball comedy concerning Lombard’s movie star meeting an out of work chef and hiring him to be her cook in a move that somehow causes a scandal could, I guess, hypothetically be funny. But we don’t have to deal in hypotheticals and watching this movie is like slowly realizing you are being poisoned to death and being forced to keep taking swigs from the canter. We’re in trouble from the beginning when Lombard shows up as a brunette (which thankfully is later revealed to be a disguise) and the film doesn’t even have fun with such a radical alteration of Lombard’s screen persona— outside of this, Lombard only appeared onscreen as a blonde. Imagine how a movie could use such a radical change to its advantage. Now instead, just forget about it, whatever, because this film does. The cult built around Douglas Sirk and his alleged “undermining” of melodrama in his studio system output is insulting for several reasons. It reveals audience superiority over melodrama— “I am enjoying this, but the director was above it so I can also look down on it too.” It also assumes that other directors of melodramas were not perfectly aware of the extremes of their films. Sirk was hardly the only one making melodramas that pushed things to excess, but the little cadre of film buffs who hold him up as an exemplar often have little exposure to other contemporary works and thus lack perspective. I can say all of this with definitive confidence because Vigil in the Night is the most incredible, jaw-dropping, unrelenting studio era melodrama I have ever seen. It hits every single note of the genre with the loudest peals imaginable, one after another, and without a hint of irony. Any claims on Sirk being some wag undermining his material by ramping it up are obliterated by Stevens doing more than Sirk ever did and meaning it. This movie is sincere and it is incredible. I would go so far as to say Vigil in the Night is the greatest melodrama ever made, even though I have not seen every melodrama ever made, as I am confident that no other film could ever encompass so fully and completely every imaginable aspect of the movement like this film does. It is a masterpiece of cinema and easily the biggest discovery of this undertaking. Lombard and sister Anne Shirley are working in a childrens ward at a British hospital. Through the carelessness of one of the sisters, a child dies, and thus begins a long series of dramatic crises as Lombard starts work at a new clinic, befriends a doctor, deals with secrets and accidents and outbreaks, oh my. Watching this movie is like going to see your favorite band in concert and they just play every song you want to hear, one after another. There’s familiarity and then there’s this, which is on its own plane of existence. It’s hard to know where Lombard’s career would have gone next. Her late career “serious” phase was brought about in part due to her dismay at learning Selznick never even considered her for Scarlett O’Hara despite courting Clark Gable for Rhett, but apart from Vigil in the Night, I don’t think these used her well either. But as I’ve already said, now having seen all of Lombard’s films, that is the main takeaway: Lombard proved she could be gifted, often did her best in bad projects, but fundamentally was fortunate enough to both appear in a handful of enduring comedies and give her best performances in them. A closer look reveals more about the studio system and how it saw and used stars than it does Lombard. This whole exercise was also a fascinating look at the rapid expansion of sound techniques on film using non-canonical works. I joked in my write-up for Up Pops the Devil that I hoped I was the last person to ever watch it, but it legitimately occurred to me during the early stages of my viewings that some of these films have deteriorated so far and offer so little in the way of anything that would merit a boutique label or the studio itself restoring and releasing them that they very likely will be gone forever soon enough, even in a digital world. And as much as I hated something like Safety in Numbers, there’s something depressing about the idea that a well-distributed work of commercial art, even bad art, could be all but gone less than ninety years later. I literally only sought out some of these all but gone movies and sat through them because of a star who was in well over thirty better films, many of which are more easily available. Not that anyone should exert effort and time on corralling and watching some of these movies, but I may very well be the last person to watch the Arizona Kid or No One Man, and I wish I wasn’t, regardless. There is a Spanish DVD of They Knew What They Wanted, no doubt a bootleg and of VHS quality picture. Thanks for the writeups. The idea of art dying has been in my mind lately a lot as well thanks to some reading projects. It's sad, but interesting how that has transfered over to film. I think that has become one major flaw of auteurism in the way it is used. Hitchcock at his worst will never be lost, but Cromwell's excellent Algiers despite big stars, oscar moms, and a beloved story is left to us currently only as an obscure public domain mess. How long till it disappears as well? It seems heartbreaking that such a gifted actress was so thoroughly wasted by Hollywood -- and your essay is also a good reminder that 90+% of what Hollywood turned out (even when using at least some skilled actors and production staff) in the "classic era" was crap. 90% is an exaggeration but it's important to remember that Hollywood studios in this era were churning out a remarkable number of movies, both A and B pictures, for a variety of reasons, chief among them the needs of block booking necessitating a lot of product. Outside of Noir, no one really bothers with watching or releasing the B pictures anymore, and so they are quietly dying on a shelf somewhere and no one really misses them because, as knives points out, without an auteur, not even the presence of a star can ensure preservation and release and there are only so many hours in the day and movies one can watch. In spite of my worrying about these films disappearing, I am ironically fortunate to be trying this viewing exercise at this exact moment in time, where I can obtain, with a little work and connections that not everyone has access to, digital or physical copies of all of the films of a given actress. Many such B pictures are completely non-circulating, and sources like American Movie Classics long gone. We only have TCM now, and while thank God for them, they only have 24 hours in a day and need to populate their schedule with more well-known movies to keep casual viewers of older films-- and they don't have access to all the films that have aired in syndication via package deals from the studios since the dawn of television. There's a lot going on with this problem, and there's no infastructure or release output to merit anything greater than what Warners is doing with the Archive program-- which again, only covers a couple studios. Most of Lombard's movies were with Paramount, which is controlled by Universal, and while their holdings fare better than some other studios, there's only so much work Universal seems willing to put into their own Vault MOD program. It also occurs to me that the market for classical Hollywood work like most of these films has a deficient outreach to younger viewers. When older viewers start to die off, I fear the demand for these films will die with them. I say this as a younger viewer, but I am well aware that I am not the norm, and neither are most of us reading this. One has to seek these films out, and understanding Hollywood means watching hundreds of movies to understand how studios, stars, and craftsmen operated in tandem with each other. It's a lot of work, and much easier to just be dismisive out of hand, or only watch the already decided upon "classics." As knives says, Hitchcock and the other auteurs will survive because there is a larger audience regardless of age. But will the audience for, say, Love Before Breakfast, a fully restored and cheaply available film that challenges contemporary mores in an uncomfortable way without the benefit of a well-loved auteur at the helm, survive? That's kind of why I feel we need to expand our conception of how to organize film. I'm guilty of this as much as anyone else where my viewing are largely dictated by directors or a handful of genres like horror that I have a fancy for. That's why I recently have made an effort to watch films based on the oscars and countries. So many common assumptions about films in any sub category quickly go away once you go past the cannon. The importance of the star system is the obvious one revealed by your project or my oscar one (I had no clue how important star pairings were until recently), but also something like my Soviet project shows how completely ridiculous an impression just watching the ten or so classics offers. It turns out that much as anywhere else Soviet audiences liked primarily to watch crowd pleasers with the silly musical comedies of Grigori Aleksandrov (yes, the one who worked with Eisenstein) being particularly successful and common. It makes one realize how important contextually eras and places by the way they saw themselves is just as important as the contemporary modes. I love Hawks, but a boxset dedicated to Greer Garson or Lombard in many respects makes more sense for exploring the studio system since that is how producers saw their products. Tackling these films on these terms also helps to understand strengths and weaknesses a lot better. I think a major way to fix the age problem Domino cites is through proper education. A lot of the older people that make up TCM's audience largely are so because they grew up with Cary Grant on television all the time and not due to any sort of intellectualism necessarily. I've been thinking of this a lot in terms of animation. Growing up Cartoon Network still showed a ton of MGM, Warner, and Canadian animated shorts and all of my love for them and the medium on the whole comes from that. Now they are nowhere to be seen and so casual audiences will see no reason to care about them. I try to do my part showing and talking about shorts to my students when appropriate, but there has to be much more meaningful work as well done to imbue the importance of all art, even bad art, onto people. What's interesting is that now I have a lot more appreciation for how Warner Brothers and Universal used to structure their star boxed sets: a couple well-known properties and a couple "lesser" vault picks. Now, they did this so they could save more A titles for additional boxed sets that never ended up materializing, so it's not like they were consciously preserving a peek at the spectrum of star representation, but still! I wonder what this film preservation/presentation problem would look like had the DVD bubble not burst in the last ten years? That's why I think basic education and passion are the best tools available however limited they may be. Having a movie night to watch some obscurity you love with friends does wonders. One of my sisters is the exact opposite of a film watcher and has basically no artistic instincts and yet just through osmosis with me she has a real appreciation (and crush) for Henry Fonda that otherwise would not exist. I also think, in a lot of ways, this is what makes the public domain a good thing where people do just pick up whatever out of the dollar bin and that can offer a lot of gateways. As to the recent home video bust that's why I'm big on not just having Criterion or Arrow take care of everything. Their level of treatment is nice, but just as much we need the Kinos and Olives of the world giving us this bizarre range of everything. It honestly would be nice if there was still the at home incentive for studios to release boxsets like how they used to especially given the oddities that they would include such as random shorts. I frankly don't believe Criterion would include those as extras ever and that's a big missing out for us. Thankyou so much for this exhaustive overview, Dom. In particular, your comments on My Man Godfrey capture some of the precise ways Lombard wins us over. Probably like most here, I have only seen 1 of those. Great lighting camerawork is always welcome and I adore Lombard, but, from what I've seen so far, I wouldn't place how she was photographed very high among reasons for her appeal. Unlike the well known actor/DP pairings of Garbo/Daniels and Dietrich/von Sternberg (the latter credited DP on only 1 of Dietrich's films, but surely the primary visual stylist on all their joint output), imagery doesn't seem such a key part of Lombard's screen style. I know they first worked together when Lombard was on loan at Columbia where, judging by his credits prior to 1934, Tetzlaff was at that time under contract before he joined her at Paramount, but do you know how their frequent collaboration came about? You mentioned that Paramount loaned out Tetzlaff "as a courtesy to Lombard", so is it correct to say this was a teaming driven by Lombard's own aims and preferences in the middle period of her career, rather than Paramount's vision of her? 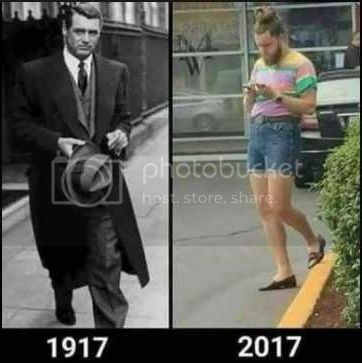 Many such B pictures are completely non-circulating, and sources like American Movie Classics long gone. We only have TCM now, and while thank God for them, they only have 24 hours in a day and need to populate their schedule with more well-known movies to keep casual viewers of older films-- and they don't have access to all the films that have aired in syndication via package deals from the studios since the dawn of television. There's a lot going on with this problem, and there's no infastructure or release output to merit anything greater than what Warners is doing with the Archive program-- which again, only covers a couple studios. Most of Lombard's movies were with Paramount, which is controlled by Universal, and while their holdings fare better than some other studios, there's only so much work Universal seems willing to put into their own Vault MOD program. Criterion should turn to the eclipse series to release classic hollywood B pictures. Surely they have dealings with all studios to be able to put together themed eclipses. The folks at TCM like to talk about and tweet about how more young people than ever are watching TCM and old movies. Not that I disagree with them but I can't imagine the percentage is that high. Plus, they have to be cinefiles and not your average movie fan. Great questions, Colpeper! You're right that the movies I believe most of us associate with Lombard are not reliant on her visual image in the way a von Sternberg/Dietrich movie is, including My Man Godfrey. But actually, Lombard's career was built upon her attractiveness. Variety even reported in review of No One Man that female (!) audiences responded with vocal outrage during the screening due to Lombard not looking glamorous! I would say most of Lombard's on-screen presence is dependent on her image, and the more sexless comic roles she is best known for are outliers, not exemplars of her typical presentation. The image she achieved with Tetzlaff was consistent enough for me to notice immediately when it wasn't present-- one of the benefits of watching all of these movies in close quarters to each other! Even post-Tetzlaff, she was able to instruct Harry Stradling Jr, the cinematographer for both They Knew What They Wanted and Mr and Mrs Smith, in the minute specifics of how to film her, including what precise lenses and diffusers to use, &c-- her input outranked Hitchcock's in this area, to give you some idea of the power she wielded! As for why Paramount would loan out Tetzlaff at Lombard's request, it's worth keeping in mind that Lombard was an incredibly popular film star and had a lot of business savvy, so she renegotiated her initial seven year contract for Paramount several times. By the last revision, she had complete control over every aspect of production, from script to director to lighting and other crew roles. Because Paramount had a lot to lose if Lombard wasn't happy, they capitulated to most of her whims, thus the lending out of Tetzlaff. Lombard actually had a strong reputation of advocating for and befriending the "lower" crew members on her movies, inviting them to her famous parties to hobnob with the A-List stars who ignored them on set. She inspired a lot of loyalty and it seemed to go both ways. She could command loyalty from the studio as well-- in 1937 she was the highest paid actress in all Hollywood, period. She was also one of the first Hollywood stars to foresee profit sharing as part of her post-Paramount deals. And before her death she intended to produce as well as star in her future projects. So perhaps, given her eventual comprehensive involvement in her projects, one must hold Lombard herself somewhat complicit for furthering the lackluster overall filmography she cultivated with Paramount? FrauBlucher, I'd love for it to be true that younger audiences are connecting with Hollywood films "now more than ever," but I think what TCM is seeing (or at least what I see on Twitter/Reddit/&c) is a vocal minority who enjoy posting surface level Tumblr fandom-style appreciations of popular films by the most well-known studio era Hollywood royalty. And that's fine, of course, and even great in its fashion-- but that's not sustainable and reduces film appreciation to star worship. Which is naturally how it used to work with audiences, but such an approach makes fleeting fashion out of something more intricate and lasting. Nice to read confirmation that, behind the scenes, Lombard was indeed savvy and ahead of her time. Although never having delved into her biography, I had always suspected she was one of the cleverest actors of her generation, not least because she and Gable were among the first friends that the Hitchcocks made in Hollywood. Indeed, just checking the mentions of her in my old copy of Donald Spoto's Hitchcock bio The Dark Side of Genius, I had forgotten that the Hitch family even lived in Lombard's house for a few months, before buying a place of their own. It also fits nicely into the persona I had imagined for her that she was the craftspersons friend. Love the idea of sparks and focus pullers swelling the ranks at her parties. Spoto mentions that the furniture at the place Hitchcock rented from her bore evidence of those nights! Another interesting addendum: after Wallace Beery nearly missed out on having his tie recognized by the Academy at the awards for 1932, for the next few years the Oscars announced the second and third place runners up during the ceremony. So it's somewhat gratifying to learn that even though Lombard inexplicably lost Best Actress to Louise Rainer, she was right behind her in second place for My Man Godfrey! That's kind of why I feel we need to expand our conception of how to organize film. I'm surprised no one has mentioned Filmstruck in this discussion. I recently bit the bullet on the promotional subscription because I was in the process of moving & had boxed up all of my discs & players and only had my laptop to enjoy. While I found it technically a bit trying at first, I did enjoy the selection they offer. Now that I'm moved in & bought a new (4K) TV, I decided to spring for a Roku to test if it provided better streaming. Despite some persistent glitchiness (which seems at the moment to affect particular titles more than others, so maybe it's something w/ the files they receive & not the actual service), I have been so consumed by old Hollywood b&w films that I decided to pay for the service (which I did not do w/ Hulu) & in the past month I still have not unboxed my discs or ventured to my favorite rep theater (Stanford Theatre) that shows double features of older films in an art deco theater for $7. In fact, I've been so engrossed in the older Hollywood titles, that I have yet to watch a single Criterion title on the channel yet, nor have I felt compelled to buy a single disc. It's presentation of films as collections promotes exploring films beyond a single, better-known title (Although the "Films by Paddy Chayefsky" collection contains only 1 film, which I hadn't heard of & promptly watched). I recently splurged on the complete Rogers & Astaire collection and (not so complete) Busby Berkeley collections, as they also came up in the "Leaving Soon" category. With a bit of tweaking, Filmstruck could become a binge watchers favorite channel (so far, I have not found their own supplemental shorts for individual films or collections to be very interesting, most are redundant rehashes of film plots & none of the presenters come close to being as knowledgeable as say Robert Osborne), as there is still quite a bit on it that I want to watch, while new stuff continually gets added all the time. Filmstruck has made it easy to turn friends on to old titles they haven't heard of but would like (which I recently did w/ Wild Boys Of The Road) or to discover old films you would never have come across otherwise, like I did w/ The Hucksters. Filmstruck's problem is probably convincing people that access to a film library is worth $11 a month. Older audiences who enjoyed TCM would probably go for it, if they knew it was available, but younger audiences might just feel that content is content & why pay to watch something old when I can watch something new for free. domino harvey wrote: Great questions, Colpeper! You're right that the movies I believe most of us associate with Lombard are not reliant on her visual image in the way a von Sternberg/Dietrich movie is, including My Man Godfrey. But actually, Lombard's career was built upon her attractiveness. Variety even reported in review of No One Man that female (!) audiences responded with vocal outrage during the screening due to Lombard not looking glamorous! I would say most of Lombard's on-screen presence is dependent on her image, and the more sexless comic roles she is best known for are outliers, not exemplars of her typical presentation. The image she achieved with Tetzlaff was consistent enough for me to notice immediately when it wasn't present-- one of the benefits of watching all of these movies in close quarters to each other! Even post-Tetzlaff, she was able to instruct Harry Stradling Jr, the cinematographer for both They Knew What They Wanted and Mr and Mrs Smith, in the minute specifics of how to film her, including what precise lenses and diffusers to use, &c-- her input outranked Hitchcock's in this area, to give you some idea of the power she wielded! As for why Paramount would loan out Tetzlaff at Lombard's request, it's worth keeping in mind that Lombard was an incredibly popular film star and had a lot of business savvy, so she renegotiated her initial seven year contract for Paramount several times. By the last revision, she had complete control over every aspect of production, from script to director to lighting and other crew roles. Because Paramount had a lot to lose if Lombard wasn't happy, they capitulated to most of her whims, thus the lending out of Tetzlaff. Lombard actually had a strong reputation of advocating for and befriending the "lower" crew members on her movies, inviting them to her famous parties to hobnob with the A-List stars who ignored them on set. She inspired a lot of loyalty and it seemed to go both ways. She could command loyalty from the studio as well-- in 1937 she was the highest paid actress in all Hollywood, period. She was also one of the first Hollywood stars to foresee profit sharing as part of her post-Paramount deals. This is amazing to read. I wonder how much light it sheds on the behavior (and backlash treatment of) other contemporaries like Crawford, Davis, Hepburn etc who were often scathingly treated publicly and had big studio flame ups. And I wonder if much of the reason was because they were demanding the Lombard deal and studios were determined to quash such a development just as they attacked labor.